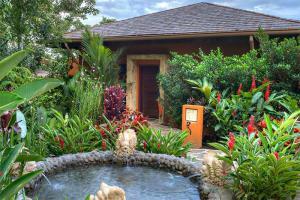 Located in Arenal Volcano Natural Park against the backdrop of the Arenal Volcano. Amor Loco, Terrace by the Pool, Altamira Restaurant, Sushi Amor, Nostalgia Wine & Tapas Bar. Zipline, Water Rafting, ATV, Canopy Tours, Arenal Volcano, Eco-Termales, Pure Nature Safari.